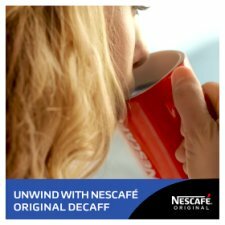 Choose NESCAFÉ Original Decaff for a great tasting mug of decaff coffee. Whatever your schedule, enjoy some time out for yourself and savour the rich and full-flavoured taste of our delicious blend. 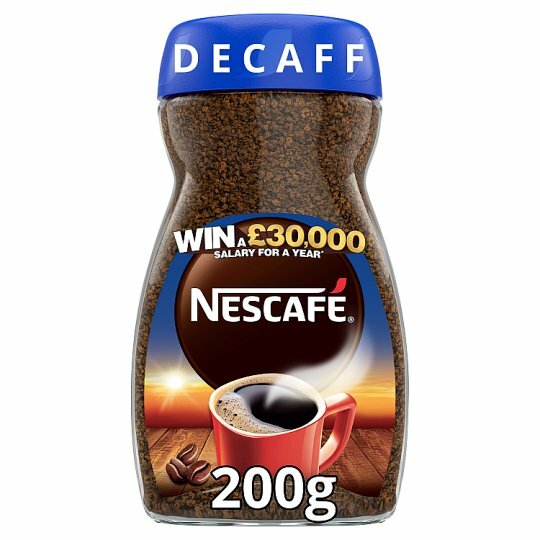 Why not explore the rest of the NESCAFÉ Decaff family? 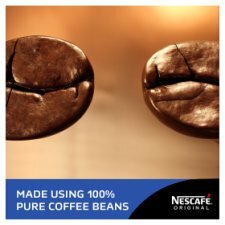 Discover a quality Americano with NESCAFÉ AZERA Americano Decaff; unwind with NESCAFÉ Gold Blend Decaff, or enjoy a coffee shop-style cappuccino with NESCAFÉ Gold Cappuccino Decaf. 2) Pour in 200ml of hot water. 3) Enjoy your full-flavoured decaff coffee!